Experience the French Café atmosphere in your own classroom! 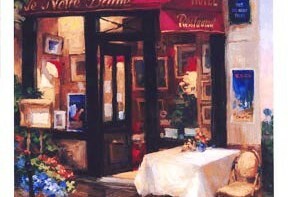 In past, we have had great success with the French Café program, providing hundreds of deliveries. Not only do we cater to the students, but we also cater to teachers and staff members. We have expanded our menu and are now offering gourmet danishes, muffins, biscotti, focaccia and of course croissants. We are asking for orders to be submitted by e-mail (french_cafe_order_form). A minimum order of 300 pieces is required for a local delivery (10 km). COD payments are welcomed but not necessary. Cheques can be mailed. Sweet Line Pastries does not use peanuts or peanut products in our facility. There are some other allergens on premises: almonds, walnuts, hazelnuts, sesame-seeds, and poppy-seeds. Every effort is made so that cross contamination does not occur, however, there will always be a small possibility of a trace of those allergens in our product.